Opposing tube holders must be empty or loaded with equally weighted samples. When loading only 3 tubes, they must be of equal weight. Buckets can be placed around the rotor in any of the rotor configurations shown. Each bucket must be loaded symmetrically with tubes as above. 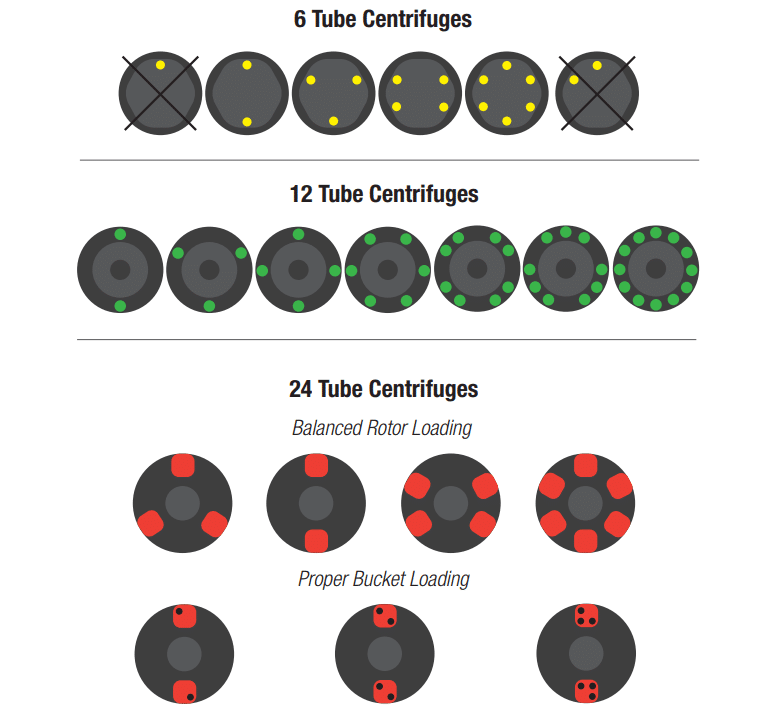 Download the PDF Guide for Balanced Centrifuge Loads for easy reference.